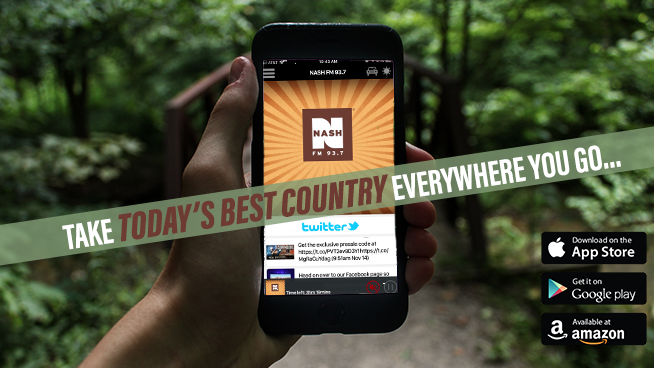 Free 93.7 Nash FM App! Wherever you end up, make sure you have Nash FM with you! Download the free app below and listen in anywhere!